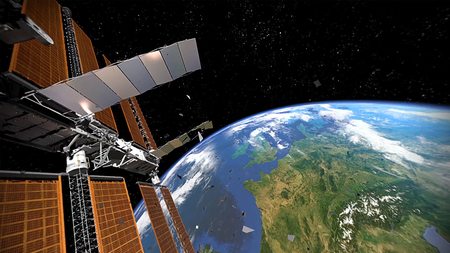 The content is filmed by Discovery and can be viewed on your mobile phone as 360º videos. 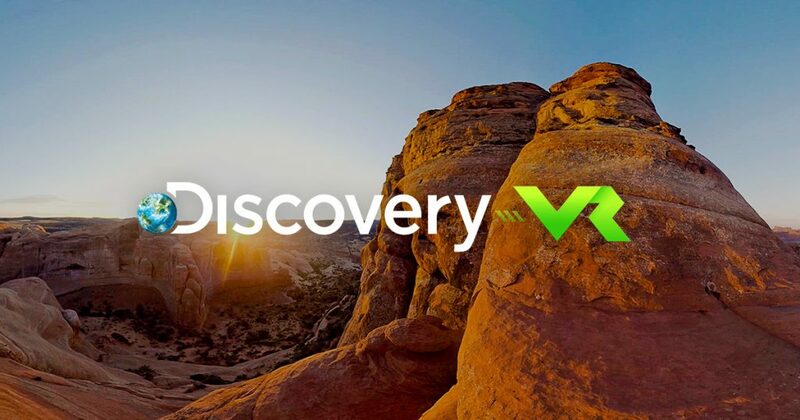 What I liked about the Discovery VR app is that it has a wide variety of virtual reality (VR) experiences to you choose from – there’s something for all types of interests. Underwater explorations, mountain biking, freeboarding, documentaries or watching wonders of our planet are just some of the exciting and interesting experiences. 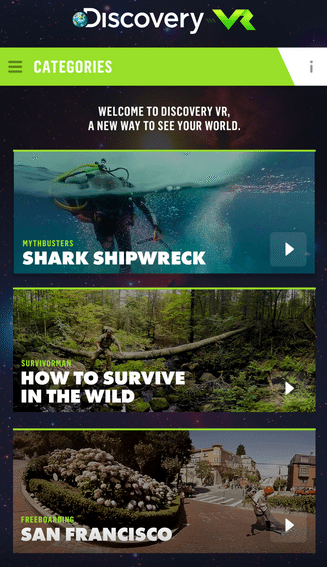 The app even includes content from TV shows like Mythbusters and behind-the-scenes clips of popular TV shows. 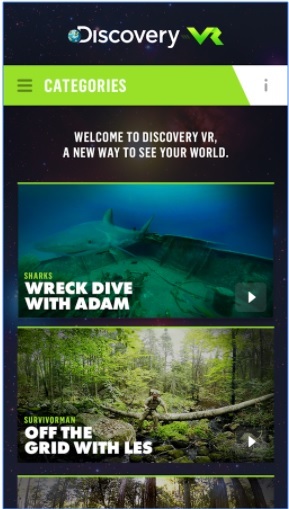 Discovery is known for their excellent stories and with this app, they don’t disappoint. The only issue with the app is that you keep having to remove your phone from the viewer when you want to choose your next video. But other than that, I think the app is great! 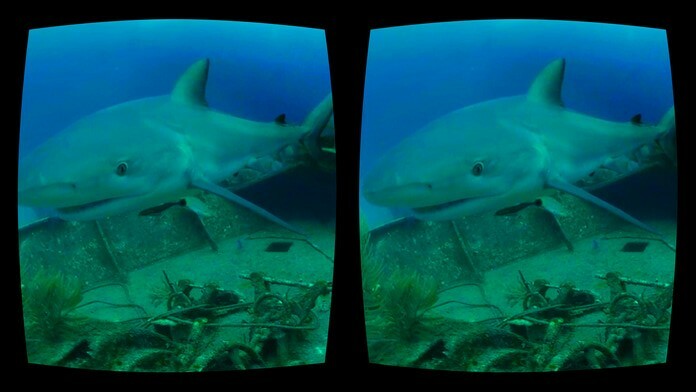 You don’t actually need a special VR viewer to watch these videos but if you have a Google Cardboard or a 3DGuy VR viewer, you’ll want to use it! You can order your own 3DGuy viewer here. Give it a try! You can download the app here. Let me know what you think in the comments section below or on our Facebook or Twitter page. Until next week, keep exploring! Each week, 3DGuy shares a personal review of an awesome VR app or experience that’s worth viewing. Check out #3DGuyVRappoftheweek blogs for all past features.